With the end of school right around the corner you may be looking for some unique sweets and treats for your graduation or end of school parties. Fortunately, we've got you covered...in lots of chocolate! These yummy chocolate covered oreos are double stuffed full of sweet goodness! Diploma Graduation Oreos have a white chocolate diploma on top of each double stuffed oreo dipped in milk chocolate. If you've never had a chocolate covered oreo, you may not want to try these...because you'll be hooked and craving more! 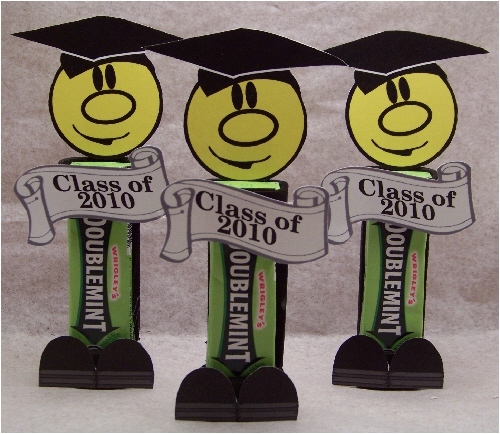 These Graduation Smiley Face Gum Heads would be thrilled to attend your party. Each smiley face gum head is a special fun foam holder containing a 5 pack of your favorite type of gum. 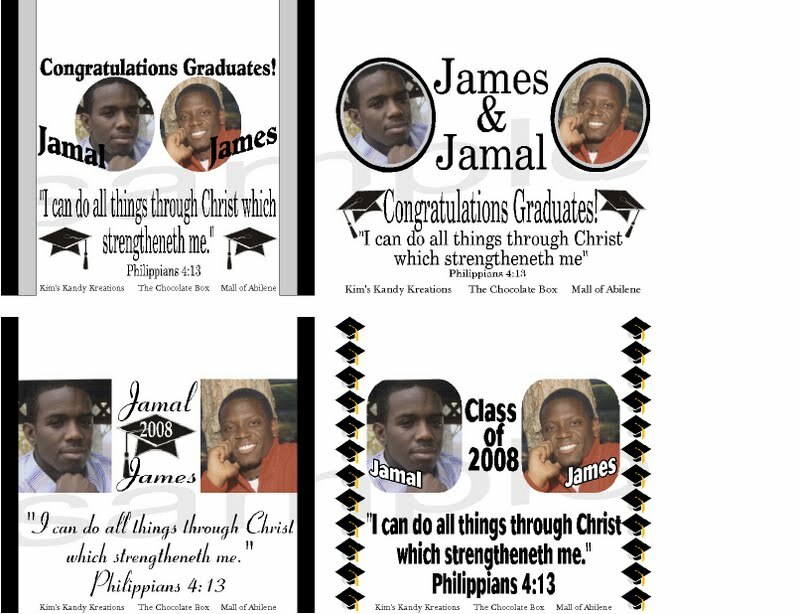 These are a great classroom gift or party favor since each scroll can be personalized with any short saying or can say "Class of 2011" to congratulate your students. 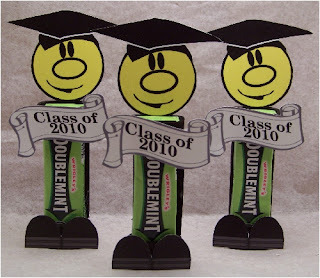 Dress up your favorite candy bar in a Grad and Cap to match your graduate with this Graduation Gown Candy bar. 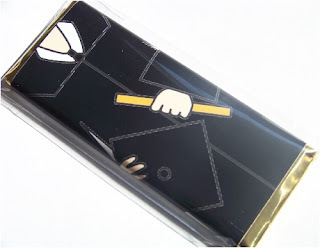 Bar can be your favorite Hershey or Nestle bar sweetened up with a personalized wrapper or we can wrap our own Milk Chocolate bar for a cheaper and sweeter alternative! If you'd like something REALLY personal, let us design up a candy bar wrapper unique to your graduate. 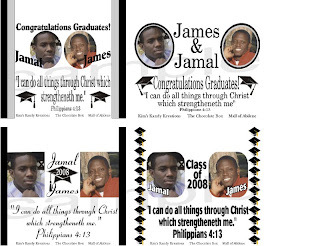 We can add a picture, saying, or school mascot at no extra cost! Just email us with your ideas and we'll design and send you 4 samples to choose from in time for your graduation hand outs, party, or big event!